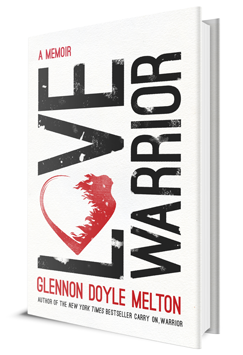 This month’s book selection is Love Warrior by Glennon Doyle Melton. It is the author’s memoir and chronicles her fight for love and the journey to self-discovery. This Oprah Book Club selection truly challenges the meaning of “to thine own self be true.” I’m over half way finished, and so far, I’ve highlighted tons of awesome messages about self-actualization, self-love, and being true to who we are in a world that expects perfection from imperfect beings. Doyle’s writing style is a little different and very personal, but pulled me in immediately. I can’t wait to discuss how Glennon’s realizations can/will help us navigate our own lives and work towards the Love Warrior within. Will you be reading along? I love a good read. I will add to my list of must reads. I will be adding this to my TBR List and suggesting this to my book club.